The spacious open-plan villa, located in what locals refer to as “Millionaire’s Row” in Bophut Hills, is fronted by a totally private 14m x 6m infinity-edge swimming pool, overhanging tropical landscaped gardens and the green jungle below. Around the pool area, each of the four air-conditioned, en-suite bedrooms (three doubles and a twin bed room) has “his & hers” washbasins, rain-forest showers and separate WC. Two of the rooms also have large terrazzo bathtubs. All rooms are furnished with top quality materials and the beds have hotel quality, high thread count linen. 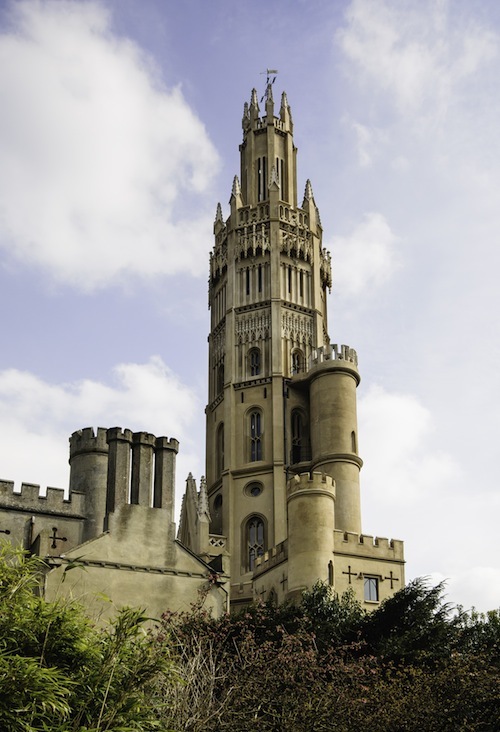 Meanwhile, the large terrace and over-sized sala, surrounded by tropical, colourful gardens, provide the perfect spot for sunbathing or relaxing with a book and a refreshing drink. Guests can enjoy free Wi-Fi, a large flat screen TV and DVD player and i-Pod speakers. Baan Ling Noi is serviced around the clock by a live in couple who keep the house and bedrooms clean, do the laundry and prepare breakfast***. For the ultimate indulgence, guests can hire a private chef who will cook wonderful Thai food. They may also enjoy a relaxing massage by the pool : all this for just a small extra charge. 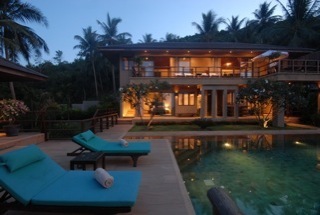 Baan Ling Noi (or “Little Monkey House”) has been featured in various luxury travel magazines. 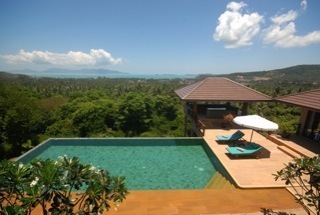 Writers and guests love its stunning interiors and spectacular with panoramic views over Samui’s north coast. The beautiful island of Koh Samui has many attractions and Baan Ling Noi is the ideal place from which to explore, being just 10 minutes away from several palm-fringed, white sand beaches, the quaint Fisherman’s Village, three supermarkets and several 24-hour convenience stores. It is just 15 minutes from the 18-hole Santiburi Championship Golf Course and five minutes from the 9-hole Bophut Golf Club. Koh Samui is easily accessible from Bangkok, Hong Kong and Singapore. Schedule can be found at www.bangkokair.com. 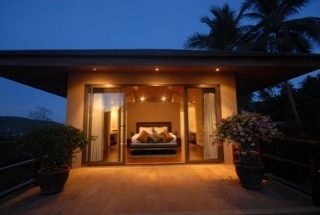 The villa is a short 15 minute drive from Samui International Airport. Baan Ling Noi, named as “one of the most luxurious villas on Koh Samui”, is offering special rates to clients this summer, with prices starting from as low as US$35 per person, per night. ***Continental breakfast charged at US$5 per person, per day.